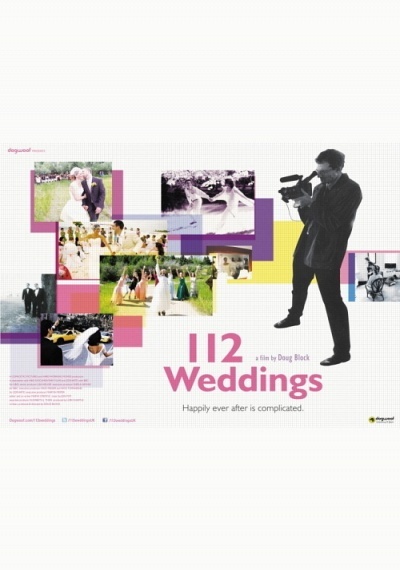 112 Weddings :: Movie Information :: RabbitTV GO! For the past two decades, acclaimed documentary filmmaker Doug Block (51 Birch Street, The Kids Grow Up) has helped support himself by shooting weddings. Hired for his intimate documentary style, he found himself emotionally bonding with his wedding couples on their big day, only to send off their videos and never see them again. Many years and 112 weddings later, having long wondered what's become of their marriages, Block begins to track down some of his favorite couples. Juxtaposing rapturous wedding day flashbacks with remarkably candid present-day interviews, 112 Weddings explores timeless themes of love and marital commitment.